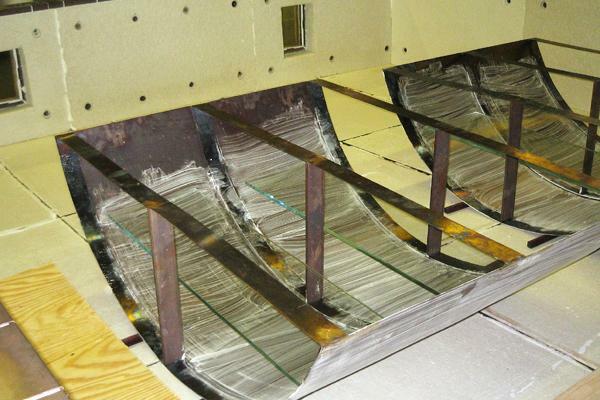 Glass may be bent on ring molds and full surface molds. Precise heat control minimizes the creation of air gaps between glass layers that slow the process down. Top and bottom heaters possible. Heaters on the mold and crease heaters provide localized heat to tight bend radii.